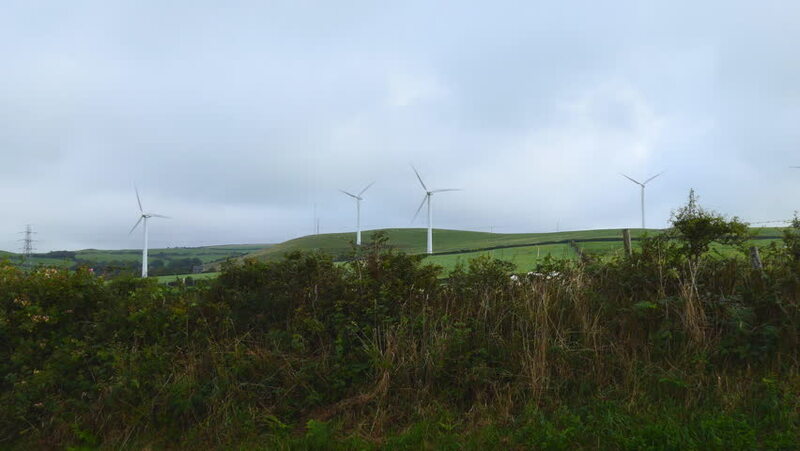 Wind farm in the field. hd00:15Windmills Energy. Landscape with Electricity Pylon, Road and Windmills. Wind Turbine Green Energy. Farm with wind power plant. Wind mills. Eco power. Eco energy.